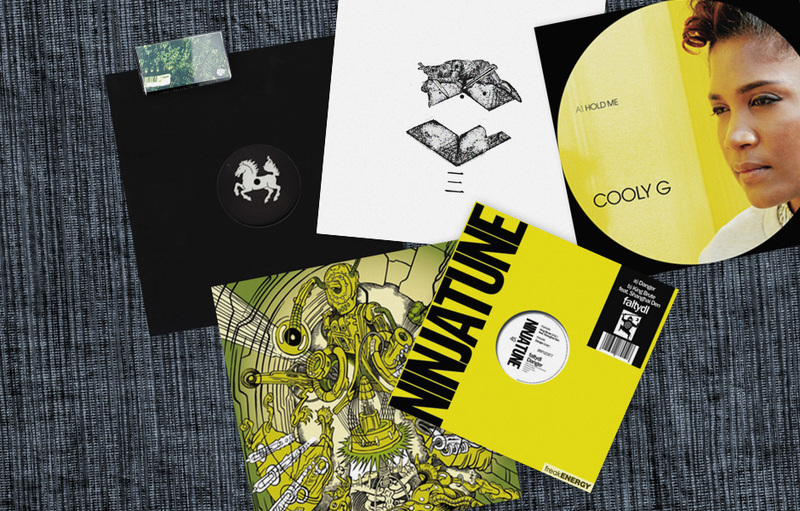 In our BPM column, we review a clutch of the most intriguing electronic music currently on offer. This month, Angus Finlayson on Cooly G, FaltyDL, Shackleton, Lily, Metrist, and DJ Vague. Cooly G may have been one of UK funky’s most visible adherents, but she was an outlier from the start. A track like “Love Dub”—her Hyperdub debut, and one of the finest tracks to come out of London in the past decade—leaned on funky’s circa-130bpm tempo, but tapped into deeper dance music currents, whether the UK’s dub-informed soundsystem heritage or Detroit techno’s polyethylene grace. So it was little surprise when, as funky’s flame guttered out, Cooly pushed on regardless. This EP is the follow-up to 2012’s Playin Me, an album whose forays into sensuous bedroom pop were promising, if not entirely successful. A forthcoming second LP looks set to expand on Cooly’s pop ambitions, but in the meantime Hold Me marks a return to the dancefloor. Cooly’s lascivious side comes out on “Oi Dirty”, a collaboration with fellow funky survivor Scratcha DVA that bears his boisterous fingerprints. There’s a silliness to it—particularly in the hi-hat sample splayed drunkenly across its surface—but an impressive restraint too, there being little by way of melodic hook, just endless serried layers of syncopation. A pair of solo Cooly tracks are slicker. “Hold Me”’s combination of silken chords and bedroom-eyed susurrus is familiar, but that doesn’t make it any less seductive. So seductive is it, in fact, that you’re liable to miss the rhythmic intricacy playing out beneath the haze. “Molly”, meanwhile, has a similar lightness of touch but without the sexiness, and feels a little deadpan as a result. Nothing here tops Playin Me’s most striking moments, and it feels like vocal pop, of some form or other, is where Cooly’s future lies. But Hold Me is a solid enough diversion along the way. Over three albums and numerous 12-inches, Drew Lustman’s output has touched on too many styles to name—many of them hybrids of his own invention. What unifies these experiments is a certain flightiness, detectable both in their swung grooves and in their structures, liable to flutter restlessly between ideas or dive down unexpected rabbit-holes. At its worst, this can render Lustman’s music so much candyfloss, delightful in passing but ultimately rather substanceless. But when on form, Lustman’s productions are leftfield delights. These two brief but mouth-watering tracks are described as, “a spy flick in a 10-inch,” and they certainly contain the twists, turns and double crosses of a good old-fashioned espionage thriller. “Danger” might be a daytime chase scene through some airy cityscape. Its fidgety breakbeats and buried jazz flourishes recall West London’s broken beat scene of a decade or so ago, though Lustman can’t resist bathing the thing in his trademark luscious chords. “King Brute”, featuring someone or thing called Shanghai Den, is darker—a moment of nocturnal tension, perhaps. Its parched cowbell protrusions and humid atmospherics suggest sweat and terror, though every now and then a hi-pass filter lifts us out of the fug before dumping us gracelessly back to earth. Lustman’s last LP, Hardcourage, leant heavily on the nicely-nicely side of things; this svelte single exhibits a pleasing yin-yang balance. Cassette releases have been a growing presence in dance music circles lately, but there are plenty who consider them a hipster affectation. After all, there’s no audiophile defense of the format to be mounted (though even in vinyl’s case such a defense is pretty tenuous). And in spite of the low costs involved, the lack of a tape deck in the average home gives a cassette label something of an elitist flavor. Still, as with any medium, it’s not just the form that should be taken into consideration but the influence it exerts on content. Typically album-length but without the suffocating import of an LP, a tape allows musicians to be looser with their material. And with no requirement to demarcate tracks, alongside the limited navigation capacity of FFWD/RWD, structural norms can be subverted or ignored in ways discouraged on a vinyl or digital release. Many a tape release provokes the question: is this an extended EP, a mixtape or a longform collage? Most of the time it’s probably a bit of all three. Past releases from Bristol’s No Corner label have made the most of these ambiguities. Filter Dread’s Space Loops and Kahn & Neek’s Gorgon Grime each used the cassette as a vessel for highly distinctive perspectives on grime. Elsewhere, the label’s output is closely wedded to the exploratory, trans-genre aesthetic of the city’s Young Echo collective (aside from Kahn, Young Echo affiliates El Kid, Jabu and Killing Sound have all had NC releases). The label’s latest tape comes from another Bristolian, Lily. Past releases from this anonymous (and, it seems, male) entity, for Spargel Trax and Idle Hands, have exhibited clear dancefloor ambitions. But on Modern Malaise, in sympathy with his medium, the producer throws function to the wind: these careworn house and techno tracks are sometimes beatmixed together but equally often allowed to sputter out in confusion, or fall away to reveal sampled monologues or swatches of pastoral ambience. In terms of style we cover a lot of ground: the Workshop stylings of past Lily productions rubs shoulders with angular grime-techno redolent of Young Echoist Vessel, conga-heavy house rollers, and so on. And for every moment of frazzled weirdness there’s a no-frills banger to compensate (in particular, a lovely bit of serrated bass guitar on side A recalls Levon Vincent’s peaktime stormer “Fear”). The sheer variety of the thing might seem dilettantish were it not woven together with such a keen sense of narrative. While many of these tracks could probably have a second life beyond this cassette, they sound so comfortable here that it seems best to leave them be. It’s difficult to overstate Blawan’s influence on British producers of a certain age. The likes of Happa and Clouds belong to a generation who seem to have discovered techno not through its mainland European institutions, but through the boisterous sound recently in vogue in the UK. A lot of this material is not good. It either lives too thoroughly in Blawan’s shadow or is relentlessly greyscale and dull, replicating industrial techno’s somber sound palette and grim tone but without the funk and flair that made, I don’t know, early Regis so effective. Still, given that most of these artists are barely out of their teens, they have plenty of time to pick up their game. Metrist certainly fits the above description. He is young, Cambridge-based, and last year released an EP of proficient but not exactly sui generis bangers on lesser known London label Nineteen89. His second release comes courtesy of Brooklyn’s Fifth Wall label, which has become a fringe member of this scene through signing Clouds and other young British and Irish artists. And, though there’s still work to be done (the structures could do with a trim, for example), Doorman In Formant shows an artist in bloom. A lot of this is down to the specific quality of Metrist’s mixdowns. It’s possible that he is simply allowing everything to redline more severely than most dancefloor producers would think wise. But whatever the cause, the effect is a muffled, crusty sound, oppressively airless in a manner reminiscent of US noise-into-techno producer Prostitutes. As a result, even “Loftstrom”, the most conventional techno number here, has a distinctive feel to it. Elsewhere, rolling kick patterns and occluded Radiophonic bleepscapes are the order of the day. “Third Law” and “Leviathanks” are solid, though the former is trumped by Eomac’s twinkling remix; “Dragen Trax” is probably the most intriguing of the lot. Its early breakdown—a drone pinched into a mosquito whine, then extinguished—is ace, and the weird, lurching groove that follows it isn’t bad either. No man is an island, sure, but Shackleton is a bunker in Berlin, sunk deep in the frozen earth where the winds of taste have no purchase. Once upon a time this reclusive Lancastrian may have taken inspiration from dubstep, but these days his musical style is entirely self-sustaining, an intricate form of avant-dub that has undergone numerous tweaks and revisions over the years. Freezing Opening Thawing is Shackleton’s first release since 2012’s Drawbar Organ EPs and Music for the Quiet Hour. And where that two-hour double-whammy may have proved too much for all but the most committed fan (I certainly found it daunting), this colorful and concise EP is a far more welcoming proposition. Two excellent shorter tracks bear out the press release’s claim that Shackleton has moved away from “sample manipulation” towards synthesis. “White Flower With A Silvery Eye” is striking partly for its hip-winding three-time beat, but more so for the way its twangy synth melodics trade bars with familiar Shackleton congas—as if he’s opening up a playful dialogue between old and new. Similar nasal melodies and occasional FM squiggles on “Silver Keys”, meanwhile, bookend a sort of droning hippy-euphoric passage which would be gauche in anyone else’s hands. The main attraction, however, is the eleven minute title track, wherein Shackleton constructs dense polyrhythmic latticeworks out of what sounds like a MIDI Gamelan set. The effect might be a little too plastic for some—particularly taking into account the widdly trance leads that pop up now and then. But what’s impressive is the level of suspense our man wrings from such friendly-sounding materials. This is mainly down to his incredible structural nous. The track’s title neatly captures the logic at work: like spring blooms in timelapse, Shackleton’s musical ideas are in a state of accelerated blossoming, making themselves anew every eight, sixteen, thirty-two bars. It’s a process you could (and should) listen to for hours. The endless piston-pump plateaus of nineties loop-techno have long been a presence in Beau Thigpen’s music. As Helix, the Georgia native is best known for his loopy (in the other sense) approach to rhythm; his angular, genre-exploding beat workouts have found him a home in the Night Slugs camp. But the intense minimalism of his music owes as much to Jeff Mills as it does to Jam City or Jersey house. (It should be said that Thigpen has made forays into more conventional techno too, though less successfully—cf. barefaced Shed pastiche “Honig”).